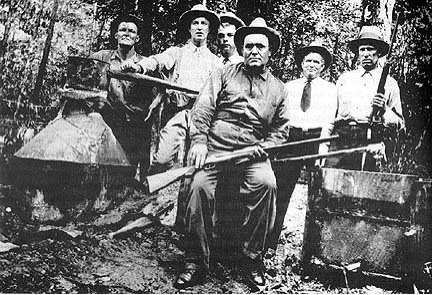 It’s a criminal legacy that Americans love to revisit: bootleggers racing cars loaded up with illegal hooch, trying to outrun federal agents with tommy guns blazing as they roared down the narrow roads of Appalachia and into history. That certainly happened, just like speedboats slipped into paid-off docks, floating heavy in the water from liquor offloaded from larger ships anchored just beyond the international water boundary. 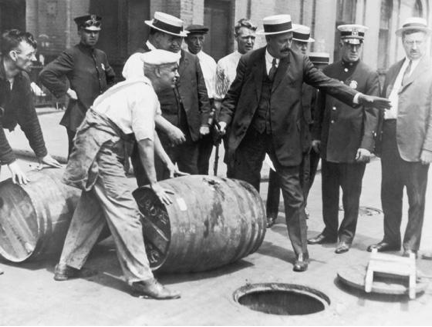 But was this the reality for all of Prohibition-Era America? Let’s say that it’s 1927, you live in Milwaukee and you want some whiskey. Did your next bottle avoid a hail of bullets before finding its way into your hand? Probably not. Odds are, you got your whiskey fix like so many other Americans did—with a doctor’s prescription. While moonshiners and bootlegging left a deep and lasting impression on America’s collective imagination, the truth of the situation was a little more grounded: businesses found a loophole in the laws. During 1919, Walgreens was a modestly successful little drug store with about 20 stores across the Chicago area. When Prohibition passed in 1920, a provision was made that whiskey could be sold legally as medicine. By 1934—just one year after Prohibition’s repeal—Walgreens had grown to 601 stores spread across 30 states. Their sales were so strong that they continued to expand following the stock market crash of 1929 and the subsequent Great Depression. If you could find a willing doctor, you could find whiskey. While most distilleries were shut down during this time, a handful were able to use this loophole to continue distilling whiskey throughout Prohibition. And whiskey wasn’t the only spirit to get in on the act. Winemakers were allowed to make sacramental wine for religious purposes. They also turned a profit selling “wine bricks” of grape concentrate, which were relatively easy to ferment at home. Brewers had their own method—they sold a product called malt syrup, and with a little bit of ingenuity (and a judicious dose of yeast and water) anyone could turn it into homebrew beer. It’s also worth mentioning that Prohibition only banned the “manufacture, sale and transport” of spirits—it didn’t mention anything about the actual consumption of alcohol. If you were wealthy enough to stockpile a massive collection to last you over the next 10 years, you were free to drink to your heart’s content. Prohibition was far more detrimental to the poor and working class citizens, who often turned to bathtub spirits of dubious, and occasionally deadly, origins. How much do you trust these guys? 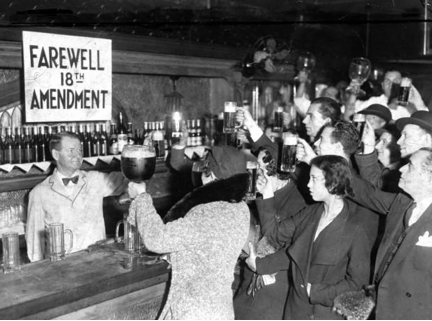 So did bootleggers rule Prohibition? Sure, but so did the humble drug store that also invented the malted milkshake—as well as the beer and wine makers struggling to stay afloat within the confines of the law. Bootlegging was only a small part of a much broader and more interesting history. But it makes for a damn good story.